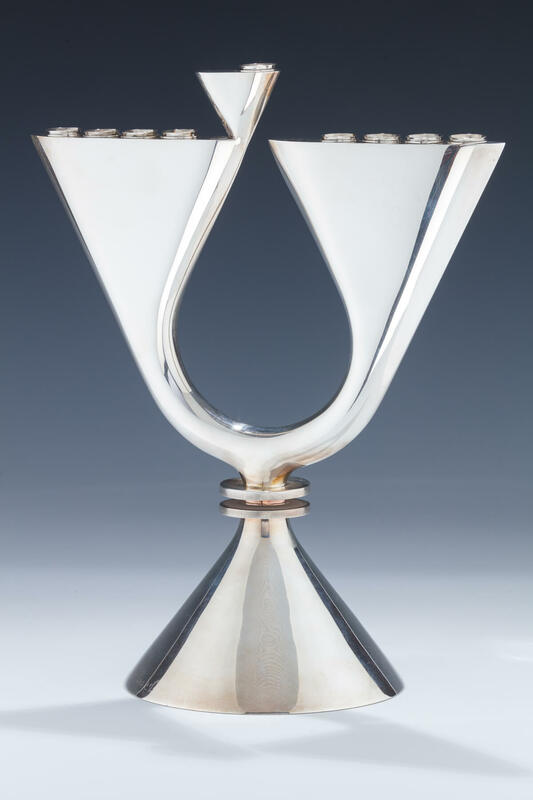 A RARE AND IMPORTANT STERLING SILVER HANUKKAH MENORAH BY ZELIG SEGAL. Israel, c. 1980. In modernist form. With removable candleholders. Signed. 13.6” tall.